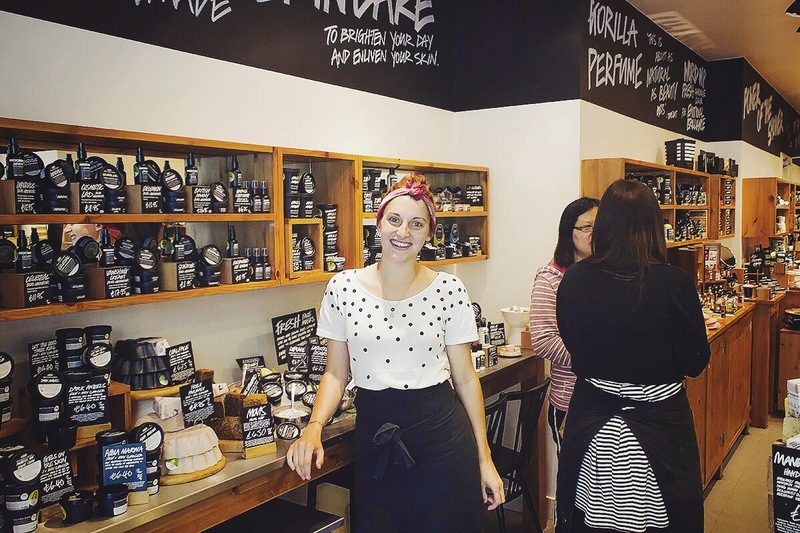 I’m sure you’re aware and may already love the amazing smelling goodies that LUSH Ltd has to offer, particularly their beautiful soaps, bath bombs and bubble bars; but you might not know that if you’re prone to acne, blemishes and an oily skin type – you’re in good company. A gentle face cream to replenish moisture without oiliness, leaving a matte finish. There’s a whole fresh lemon in every pot to stop your skin looking shiny, as well as fresh Papaya, blended light oils and cocoa butter. The fresh fruit used contains enzymes and alpha hydroxy acids to remove dead skin cells and help to stimulate and brighten. A blemish treatment containing an infusion of antibacterial and antiseptic rosemary, thyme and tea tree, as well as antioxidant-rich grape juice and witch hazel – an astringent and anti-inflammatory that soothes redness. Great for the prevention rather than the treatment of acne (always avoid scrubbing active spots as this can lead to scarring and the spread of infection) and a perfect way to banish black heads – limes steeped in vodka, grapefruit and lashings of salt go into this invigorating face and body scrub. To treat and soothe both face and body acne, this incredible smelling mask is made with peppermint oil to stimulate, marigold oil and chlorophyllin to treat the skin; evening primrose seeds and aduki beans to gently exfoliate as you remove it. There’s also mineral rich kaolin to nourish, antibacterial honey, and peppermint oil to stimulate the blood cells just under the surface of your skin to leave it looking bright and refreshed. Together, to celebrate the launch of Boyface; myself and LUSH Ltd are giving you the chance to bag the complete blemish collection worth over £40 – perfect for both guys and gals to sooth, treat and protect. It’s super-easy to enter; just use the Rafflecoptor form below. The giveaway ends on Friday 25th July and the winner will be contacted directly. The giveaway is open to UK entrants only. This article first appeared on MANFACE written by Thom Watson. It was published on Friday 11th July 2014 and was last updated on Monday 3rd April 2017 at 2:00pm. It's categorised under Acne, spots & blemishes, Giveaway, High Street, LUSH Ltd where you'll find more related content.